Most pundits understand that Labor’s economic credentials are extremely shaky given that it appears that no one from Labor actually understands basic budget or fiscal policy. However, the rest of Australia has been constantly reassured by both the Prime Minister and the Treasurer countless times that Labor would be bringing Australia’s budget back into the black for the first time since they took office in 2010. In fact Labor promised to deliver a surplus over 300 times over the course of the journey since the last election until Treasurer Swan announced last December, right just before Christmas when no one was paying attention, that the wafer thin projected surplus for the 2012-13 financial year of $1.1 billion just wasn’t going to happen. Nope. Just not gonna happen man. Kaput. Gone. Failure is not an option. No ifs, no buts: it will happen. That sounded pretty definitive didn’t it? Doesn’t sound like there’s a lot of wriggle room there or the opportunity to make excuses. Well someone better tell Treasurer Wayne Swan, Finance Minister Penny Wong and the rest of the numerically challenged members of the Labor party about this no ifs, no buts rule because all we have heard since December last year is excuse after excuse. 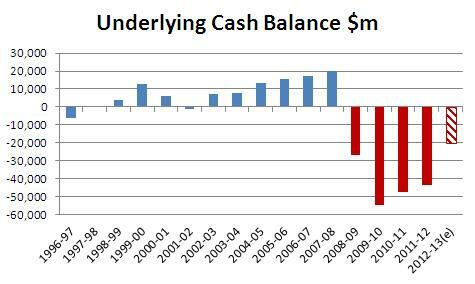 Excuses about why things havent turned out as rosy as Labor predicted in relation to Australia’s budget position. The Treasurer laid out all of these excuses in his Economic Note in February this year and has been building the case that it is purely external factors that will cause Labor to deliver yet another budget deficit in June. Firstly they talk about tax receipts being drastically down, but as the Catallaxy Files shows in it’s post Budget Myths and Reality, saying that tax revenues are down is an outright lie. The only way they are down is if you actually believed the wildly optimistic projections that Labor made in order to be able to project their promised 2012-13 surplus, but the reality is that revenues are still higher than previous years, and increasing each year. 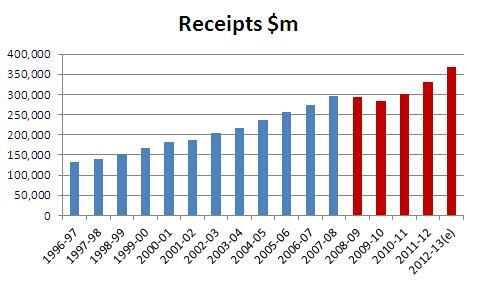 The diagram labeled Receipts $m to the right shows that tax receipts have actually gone up every year that Labor has been in office, except for a slight dip in 2009-10. So to say that revenue is down is incorrect. 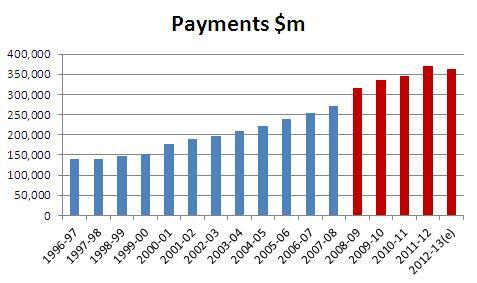 While the actual amounts are not quite as good as Labor expected, Australia has still generated MORE REVENUE than it ever has previously. We have more money coming in, not less. Ok, good to get to the bottom of that. Now onto Labor’s recent statements on payments. In Swan’s update in February and again yesterday, Labor’s economic ministers are once again trying to hoodwink people with mealy mouth excuses. While Labor bemoan the external factors that are applying pressure to the budget, what they neglect to mention is that most of the underlying deficit is due to internal pressures, namely drastically increased government spending. Government spending since Labor came to office has gone through the roof to all time highs. This is shown in the Payments $m diagram to the right. While receipts have gone up, so have our payments. It seems that we are spending money we just dont have. As anyone who manages their own personal finances knows, you just can’t spend what you dont have. If you do, then you end up with a deficits. Just like the previous five deficits that Labor has gifted Australia with since we were stupid enough to vote these “financial conservatives” in to power in 2007. Where does that leave us now? In trouble. The Underlying Cash Balance $m diagram on the right illustrates what you get if you add the two previous diagrams together. Note the candy stripe bar on the far right of the graph. That is the projected deficit that has been estimated since Labor started it’s steady march away from bringing the budget back to surplus as they crowed for near on three years. But what is worse is that now we are hearing more bad news from the bad news bunch that threatens to make reality worse than any possible nightmare. As Judith Sloan from The Australian (behind Evil Rupert’s Evil Paywall™) observes today, the projected surpluses for the coming years have also bitten the dust. We are now told that being in deficit is no big deal. Not only will there be a budget deficit this year, there will be a series of deficits over the forward estimates. So the projected budget surplus of $2.2bn in 2013-14 – forget it. The projected budget surplus of $3.3bn in 2014-15 – forget it. And the projected budget surplus of $6.4bn in 2015-16 – you guessed it, forget it. Further to us already spending more than we make, Labor has openly promised that massive new social welfare policies, such as the NIDS and Gonksi, will underpin their re-election campaign. However to actually pay for these grand schemes, Labor intends to borrow even more money than it already has wasted and tax Australians even more than they already have in order to pay for their utopian social fantasies. If we don’t have the money, then we just can’t spend it. If these new programs are so important, then we need to prioritise where they fit into the overall scheme of things. This government just does not know how to live within it’s means. Further more, it seems these clowns just cant add up. 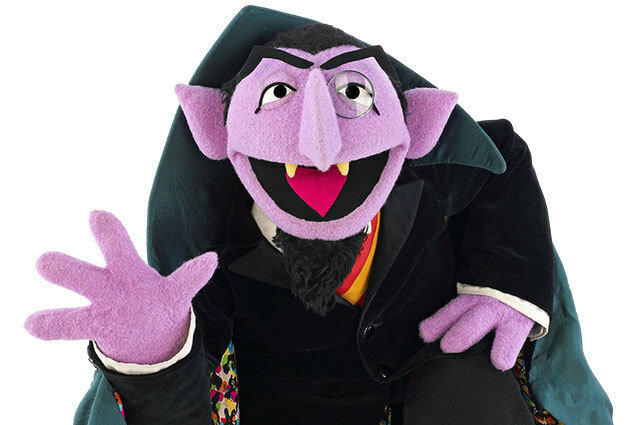 Might be time to bring in the Count, blah. Mate, things are seriously getting very out of wack, very quickly around here with this lot in charge. I havent had the strength to post anything about it all yet, just having trouble getting that $19.4 billion deficit down. Must be stuck on the 300 surplus promises that I swallowed last year.